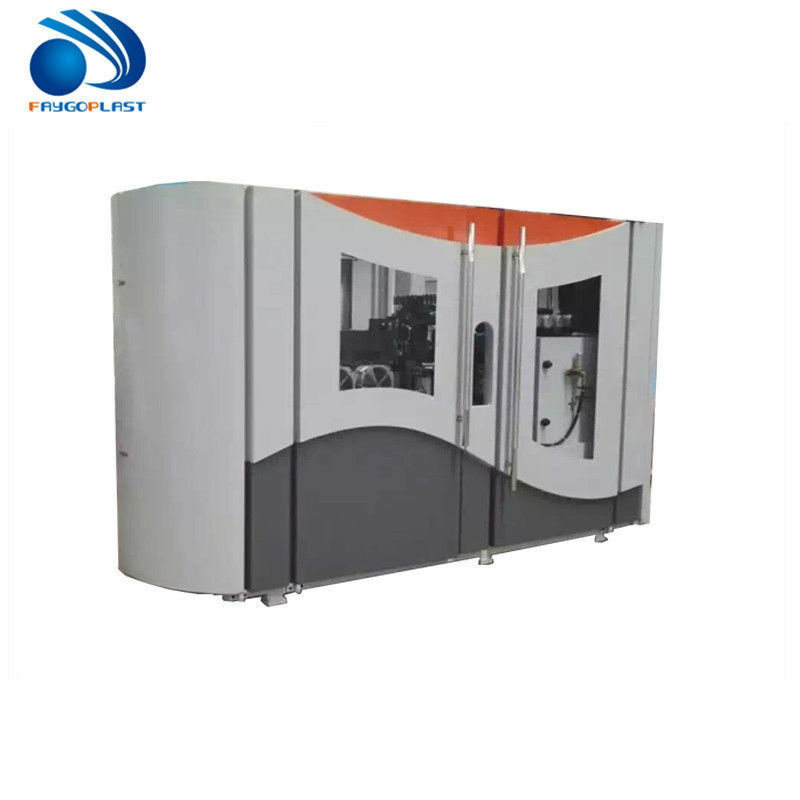 FG4 PET bottle blowing machine fills the gaps in the domestic high-speed linear blowing machine. Currently, domestic single-mold speed of linear blowing machine still stay 1200-1500BPH, while international max single mold speed has reached 1800BPH. High-speed linear blowing machines rely on imports. In view of this situation, Faygo Union Machinery developed China first high speed linear blowing machine: FG4. The single mold speed can reach 1800 BPH. FG4 has 4 cavities, production capacity is 6800-7200BPH. FG4 linear blowing machine is developed completely independently, has our own intellectual property rights, and has obtained more than 10 national patents. FG4 pet bottle blowing machine is composed of three modules: prefrom elevator, perform unscrambler and host machine. It is equipped with automatic perform loading and unloading system. The machine is applicable for all shapes of drinking water bottles, carbonated bottles and hot filling bottles. 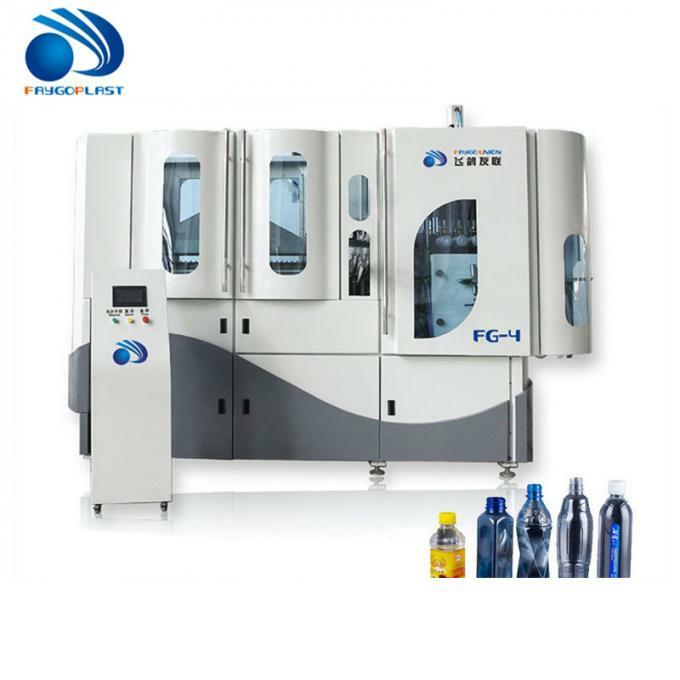 This FG4 pet bottle machine has reasonable structure design, featured by its high speed, small space occupation, low power and HP consumption, less noise and excellent stability, and conforms to national beverage sanitary standards. It symbolizes the highest level of national linear blowing machine, It is the ideal bottle making equipment for beverage enterprises. 1)Stand-by engineers teams to provide overseas installation and commissioning service. 2)1 year warranty.During warranty ,we provide free of charge for repairing cost. 3)lifetime maintence .After-sales department can provide life long maintence service.